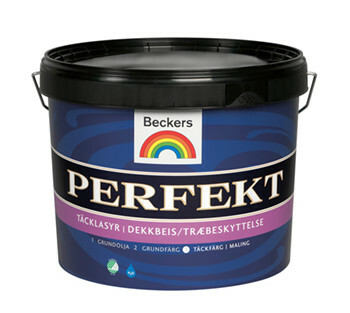 Beckers Perfekt Täcklasyr 10L is a premium product and the ideal choice for painting large areas of exterior wood and joinery. The paint has a slight sheen, is very easy to apply and has good penetration and adhesion. It will give you long lasting protection against water absorption, colour fading and chalking. Use it to paint your new garden building or summer house. Its also great to paint over previously stained surfaces. Because of the flexible thin film you can change the colour of your garden building without losing wood’s natural beauty. What are you waiting for?